A large open terrace a few floors above the heart of Lan Kwai Fong isn’t necessarily easy to come by. When you do come across one of these elusive spots, you tend to expect a respite from the crowded streets below. 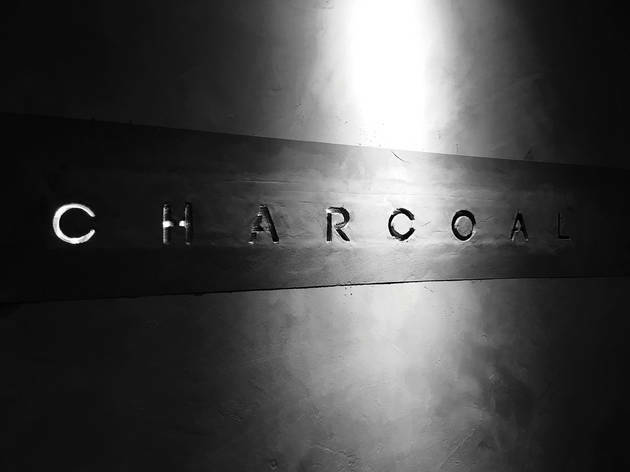 Newly opened Charcoal offers one such space. A minimally decorated shisha bar, Charcoal hides a tastefully concealed venue with bamboo fencing shielding patrons from all that neon across the way. We skip the shisha, as that’s not our bag, but we do order a Charcold Fashioned ($90) – the bar’s own take on the classic tipple. Served ice-cold in a tumbler, the essence of charcoal adds a certain edge, setting this apart from your average old fashioned. It’s pretty decent. The next offering, is far from decent. We opt for the Adios ($120). It would be great if this drink referenced the fact that it could end your night in style. It doesn’t. It references the fact that we’d happily say goodbye to the cocktail after the first sip. The blue curacao is overly sweet and the generous slug of gin is way overboard and ruins the ensemble. Boozy? Yes. Tasty? No. From the light bites, we order a plate of spring rolls ($80). It’s a generous portion and not overly greasy, soaking up that Adios, but it’s hardly an incredible dish given the cost. In fact, it’s all a pretty penny here and just isn’t deserving of the price tag. 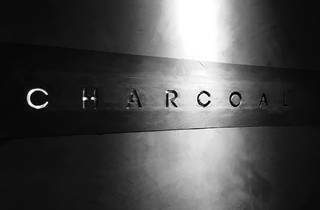 An evening at Charcoal does mean missing the crowds, but it also means some sub-par drinks. Hopefully the team will iron out the kinks as there’s great potential here for a space away from the throngs below.